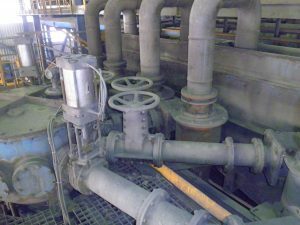 OutStandInn was invited by Somincor Lundin Mining to redesign the discharge collectors of the hydrocyclones in the Zinc Wash Plant, in order to improve hydraulic performance of the overall system. By using 3D modelling we were able to replicate existing conditions and propose a pseudo-elliptical configuration that minimizes the changes to existing structures and equipment. The new design considered limitations of space for installation while maintaining access to the core equipment for maintenance purposes.